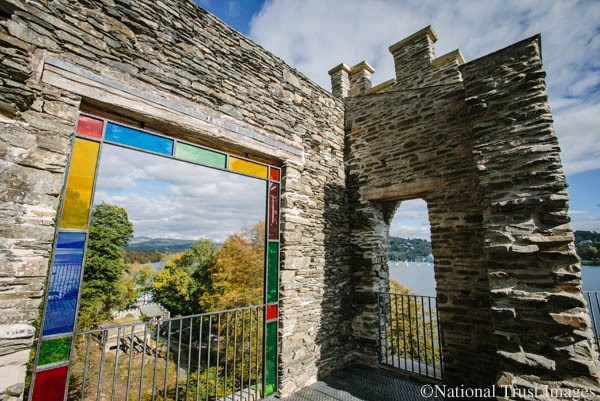 Claife Viewing Station, just by the ferry landing on Windermere’s west shore, has been loving restored by a recent National Trust Project. You can now discover the mystical heights of Claife Viewing Station and learn about its colourful history. Visitors to the Lakes have been coming here since the Georgian times, to ‘take in’ the view and thanks to a new platfrom, you can now get up to first floor level. The Station courtyard is perfect for picnics followed by a gentle wander up the slope where you’ll be rewarded with panoramic views of Windermere, at the top. There’s a cosy café in the courtyard and it makes a great walk from Hawkshead, over Claife Heights.